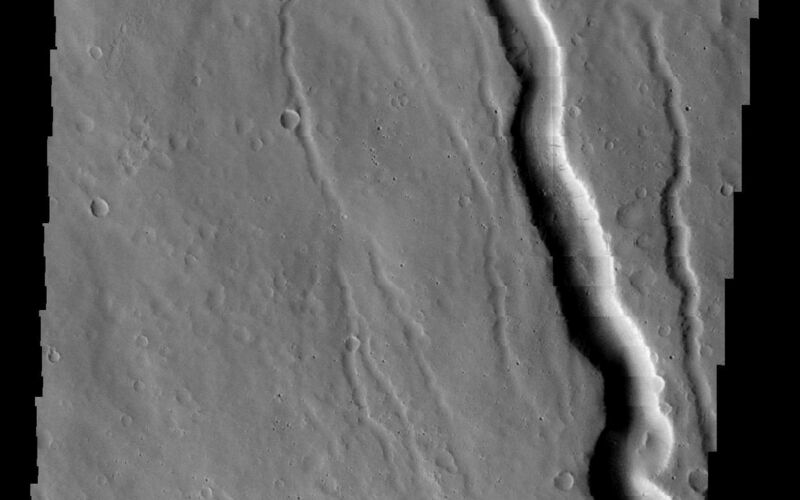 This VIS image shows the northwestern flank of Ceraunius Tholus, one of the smaller volcanoes in the Tharsis region. 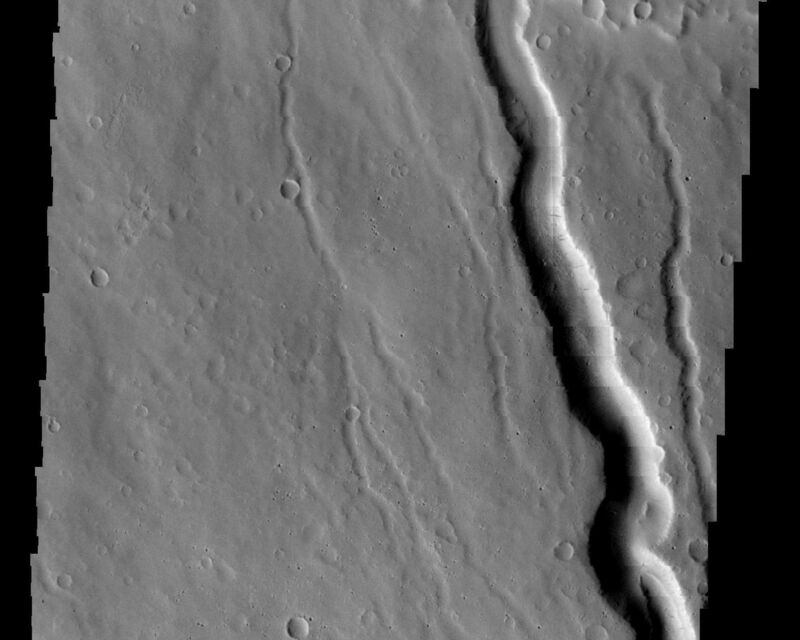 Several channels dissect the flank of the volcano, including a larger channel that deposited material in Rahe Crater. Image information: VIS instrument. Latitude 24.6N, Longitude 262.3E. 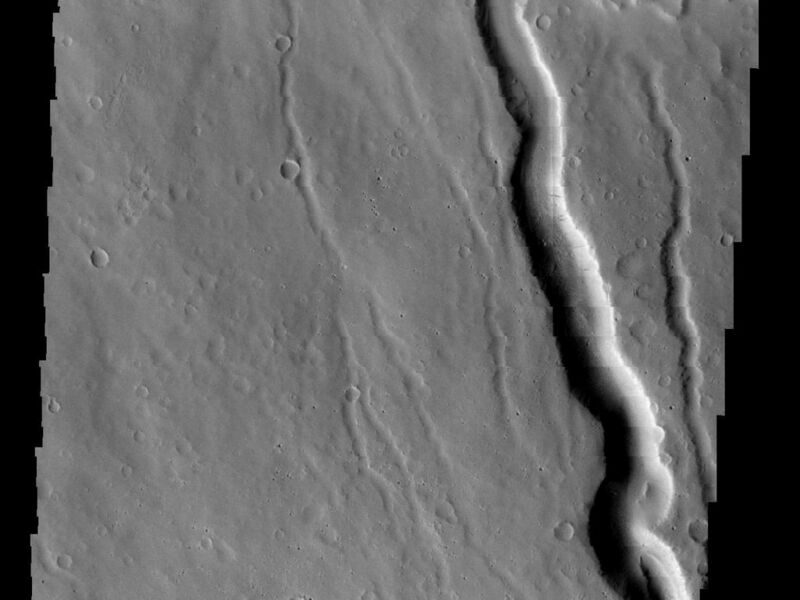 23 meter/pixel resolution.